"I respect all the members of the Jewish community and clarify that I only wished to describe the difficult situation facing Romanian breeders due to the African swine fever," Agriculture Minister Petre Daea said in a statement. Daea said in a television interview Tuesday that in breeding grounds affected by the disease, "pigs are incinerated, it's extraordinary work, it's like Auschwitz." "I have never offended anyone. I just expressed my pain," said the minister, whose statements often cause confusion. The center-right opposition has called for Daea's resignation, with former prime minister Dacian Ciolos saying it was "unacceptable to compare the incineration of pigs to a world tragedy." "These declarations are susceptible to violate human dignity and create a hostile climate, humiliating all those who remember the Holocaust," the group's president Csaba Asztalos told AFP. 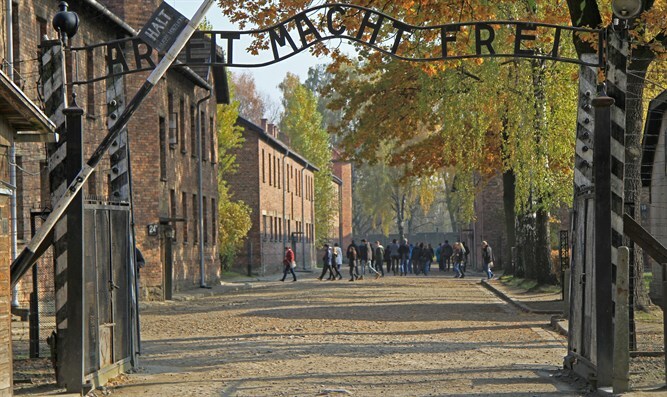 Auschwitz-Birkenau has become a symbol of Nazi Germany's genocide of European Jews, over one million of whom were killed at the camp between 1940 to 1945. African swine fever is a highly contagious disease that causes fatal hemorrhages in pigs. It is transmitted through contact with other infected pigs or ticks as well as by feeding pigs infected kitchen waste. The disease does not affect humans.